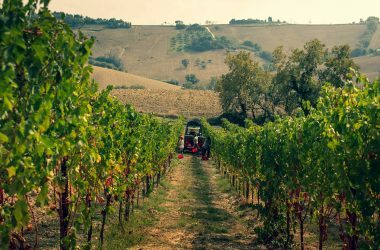 Cultivating vines is the natural destiny for Le Marche. 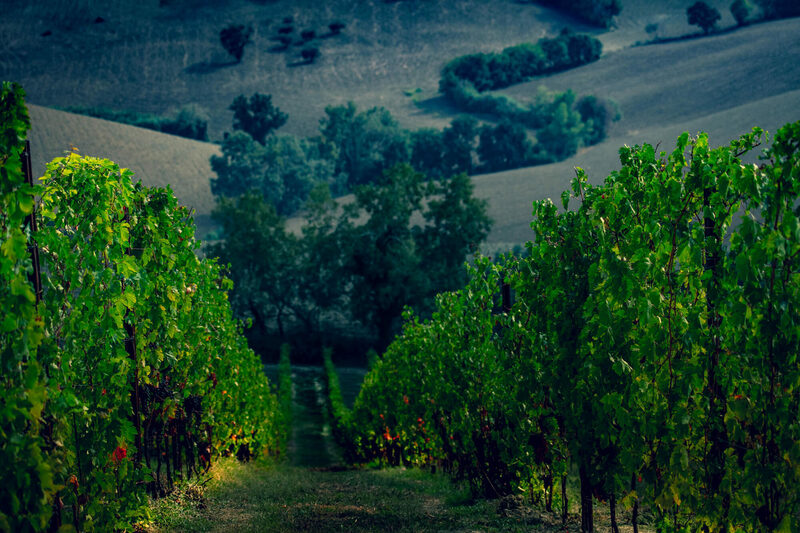 For centuries there has been harmony between people and nature here, between the vineyards and the farmers. 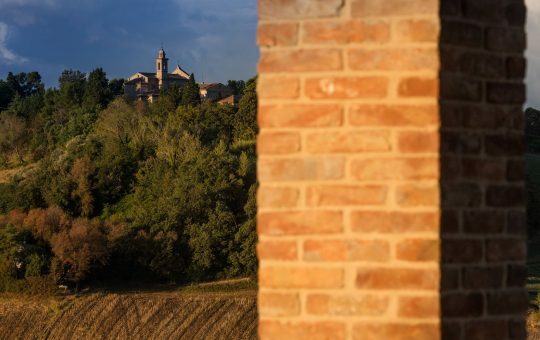 On a solitary hill not far from the famous “ermo colle” so dear to Leopardi, the Guesthouse and Winery is completely surrounded by vineyards. 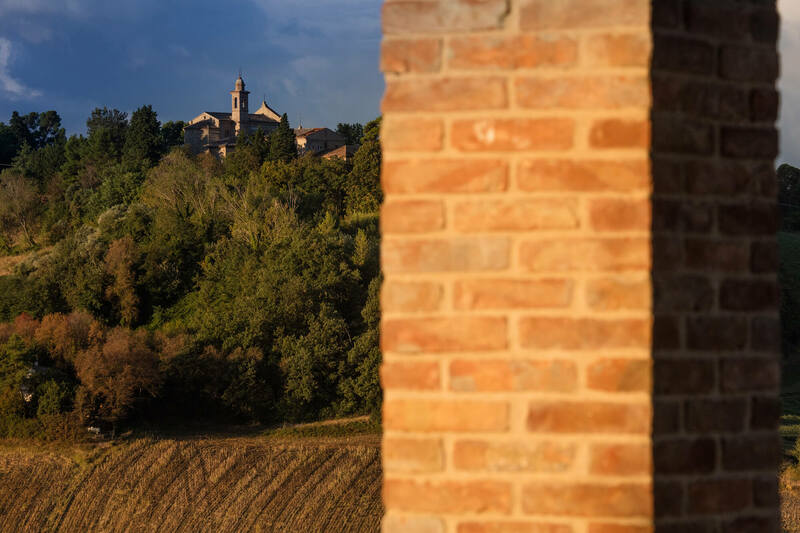 As your gaze extends as far as the defensive walls of San Marcello to the northwest, you can see the oldest Verdicchio vines, which are over 50 years old. Following the compass in reverse, we come across the new plantings of Verdicchio and Sauvignon Blanc vines. To the south-south-east lie the Lacrima vines, as well as other Verdicchio vines planted three years ago. 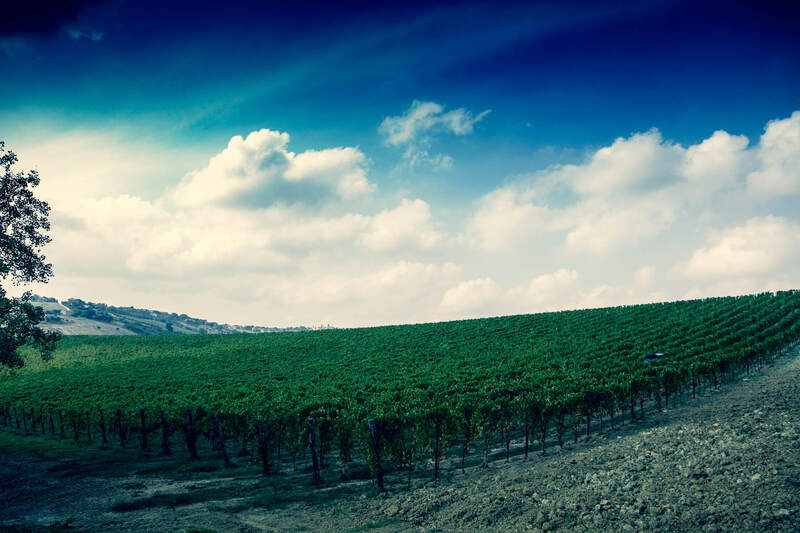 Tracing the natural rolling hills to the east and north-east, you can see the recently-planted Syrah vines. All 20 hectares of vineyards before your very eyes, embracing, protecting and enveloping the winery. 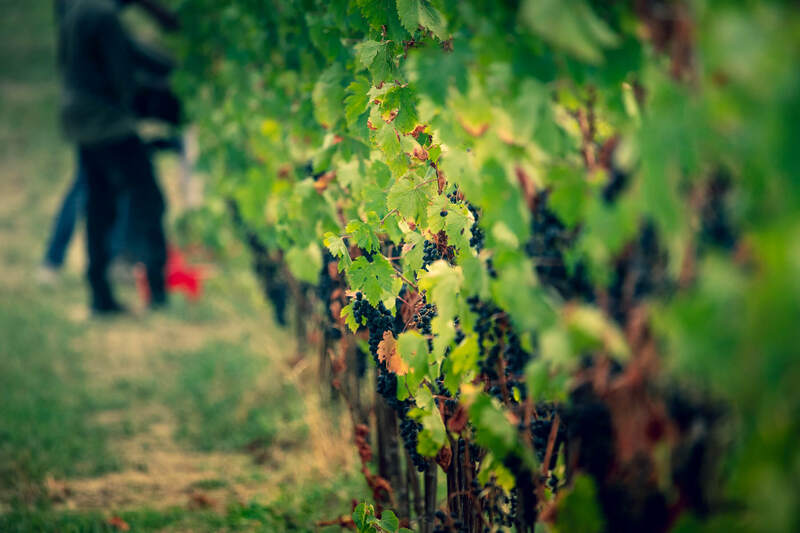 The furthest plant lies 500 metres from the winery, and this very close proximity is a great advantage during harvest. If you look east you can see the Adriatic Sea, and to the west the Monti Sibillini, known as the “blue mountains”. When they are blanketed in snow they reflect the sky, which is always blue in Le Marche. When it is cloudy, even when it rains. The vines are right in the middle, close to the sea, yet not far from the hills. This is why the plants have a natural habitat that favours their health and quality. These two qualities go hand in hand. One leading to the other. The sea breeze blows through the vines every day, whose rows have been angled so it can glide between them. The air passes through the leaves and the fruit, taking away the humidity, removing the environment where mildew could otherwise grow and prosper. At the same time, the proximity to the hills provides a moderate temperature range between the daytime highs and the night-time lows. In order for the best quality characteristics to develop, during the ripening process. The grapes need minimum temperatures that never fall below 12-10°C, otherwise they will be slow to ripen, and daytime temperatures that never exceed 20°C, otherwise the quality of the grapes will suffer. 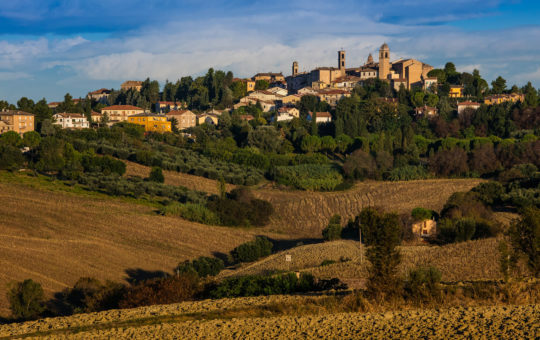 At San Marcello and especially in the vineyards, average temperatures are optimal. 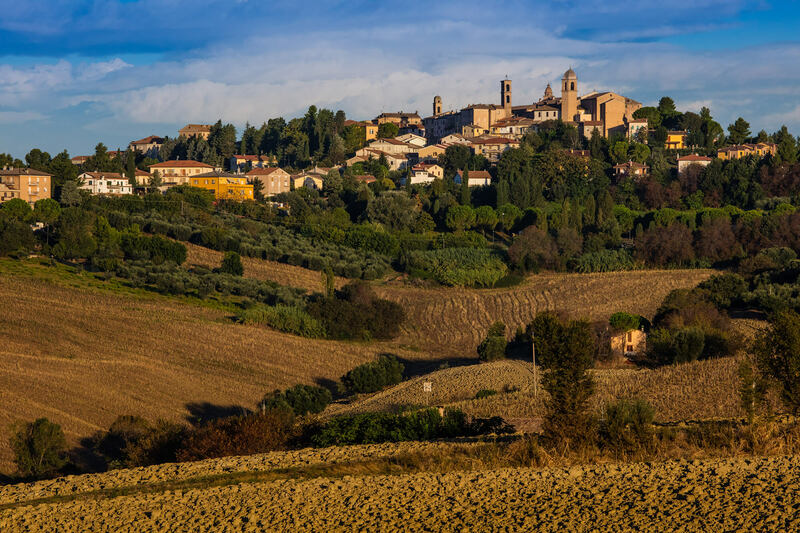 The Verdicchio vineyards have differing aspects and altitudes to allow us to compensate for nature’s whims by using grapes from various plots to produce our wines. In warmer years, we use grapes from the north-facing plots to produce our Superiore Filotto and the Riserva Dino, whereas in cooler years we select grapes from south-facing vines. 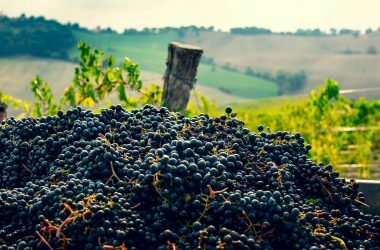 What do we do in the vineyard? Everything and nothing. Everything we can do beforehand, leaving no need to do anything later. The plants must be healthy, because a healthy plant defends itself on its own. In the newly-planted vineyards we weed mechanically using a plough, so that the young rooted cuttings can breathe and are not stifled by the vigorous wild plants. We don’t weed at all in the fruit-bearing vineyards; instead we let the grass, sow thistles, rapeseed, dandelions, borage, ribwort plantain, chard and many other wild plants grow in the vineyard. They compete with the vines, forcing them to delve deep down to reach the minerals. In a rich and healthy environment, even the natural enemies of parasites flourish, destroying them as soon as they appear. During the winter we plant field beans between the vines as green manure, naturally enriching the soil with nitrogen. We trim the tips and reduce the number of leaves to increase the amount of sunlight and ventilation the grapes receive. All in all, we cultivate our vines in full accordance with the rules of organic farming, and from the 2018 vintage onwards all wines will show their organic certification on the label. We use the guyot pruning system, leaving no more than seven buds. The density of plants is between 2700 and 3500 vines per hectare.